Every year students from PPA accredited BA and MA courses compete for the Best Original Concept category in the Magazine Academy Awards. 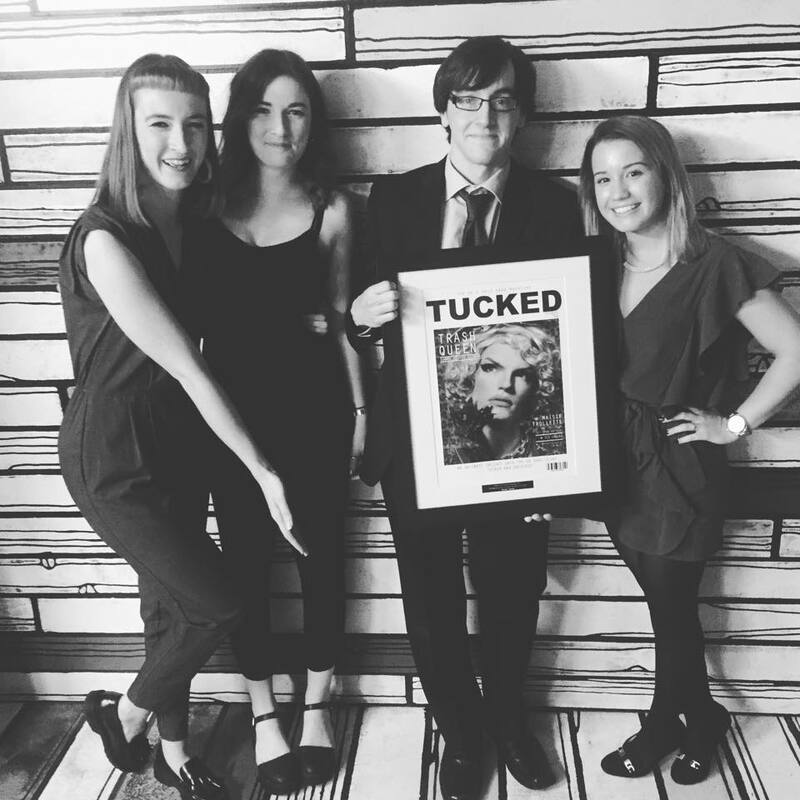 This year my former Magazine Business students scooped first prize with Tucked. In an age where there is a magazine for everything, it would seem near on impossible to come up with an original concept in an untapped market. But that is exactly what these students achieved with Tucked – winner of this year’s Magazine Academy Awards – aimed at the LGBTQ demographic. It is a concept that emerged from a course assignment whereby Magazine Journalism students working in groups of three or four had to come up with an idea for a new magazine, plus develop a pilot issue and media kit. To increase student engagement there was the added bonus that the best concept would be submitted into the Magazine Academy Awards.Team Tucked Alice Freeman, Iga Kozakiewicz-Schlegel, Josie Tague and Aidan Dalby – who have just begun their final year at Southampton Solent University – came up with an amazing concept. I was not surprised that their entry was short-listed and even more delighted that they scooped first prize and £500. Why? Because this is an original idea that has depth and sustainability. An original idea – LGBTQ is a growing community, rich in culture and diversity – has great potential for online, print or digital magazines to explore. A gap in the market – a comprehensive study of the market and potential competitors revealed no similar UK publications existed. Knowing the audience – the group surveyed more than 200 people in the LGBTQ community using social media platforms. Great magazine – the pilot issue had a strong design and great content relevant to the demographic, which informed, entertained and engaged the reader. This year’s The Magazine Academy Awards was hosted by Immediate Media at their offices in London. The Best Original Concept category was sponsored by Redwood Publishing, which donated the £500 prize. Read my interview in InPublishing with #Team Tucked – What makes a great idea for a magazine? Or visit Solent University’s blog post, which features a preview of Tucked. This entry was posted in New titles & relaunches, News and tagged Tucked. Bookmark the permalink.